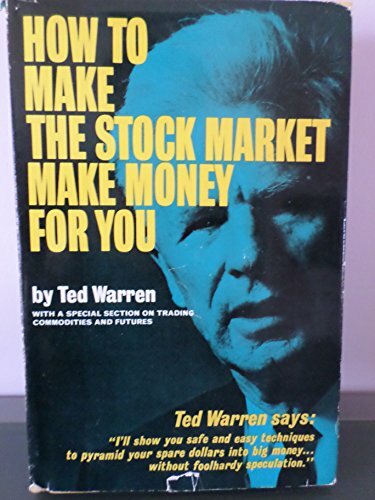 Ted Warren's strategy is to use long range stock charts in order to understand the particular phase that a stock is in. These phases are based upon market manipulation by insiders and how the psychology of the public reacts to these manipulations, sending stocks to 200% rises. Warren's approach pays no attention to a company's fundamentals, but is purely technical, that is, based entirely upon price action. The Four Phases of a Stock Price in the Stock Market Starting with the simple maxim of "buy low, sell high," Warren explains the four phases that every stock goes through; accumulation, markup, distribution, and markdown, as a stock goes from strong to weak hands. Accumulation takes place when a base is formed over many years. The stock price seems to languish in a low and narrow range. The public eventually becomes bored with its $5 price that never changes and sells to these accumulators. The weak hands are forced out as they sell their boring shares to those who have been astutely accumulating massive amounts of shares. Now, with the stock in strong hands, comes the markup. The stock breaks out of its long-term accumulation phase. This gets the public slowly interested again, and this is the time Warren tells us to buy. Because the markup phase will take the stock to dizzying heights as more and more investors are attracted to a stock that seems to go only up. Now comes the distribution phase, a time when the stock has shot up very quickly over a short period of time. This is the time that most of the public are scrambling to buy it, and when those who have been patiently accumulating it will sell it to them. The strong hands make a killing as they pass the stock to the weak who are unknowingly buying it at the top of its price range. If you have any questions about this product by Ted Warren Corp, contact us by completing and submitting the form below. If you are looking for a specif part number, please include it with your message.